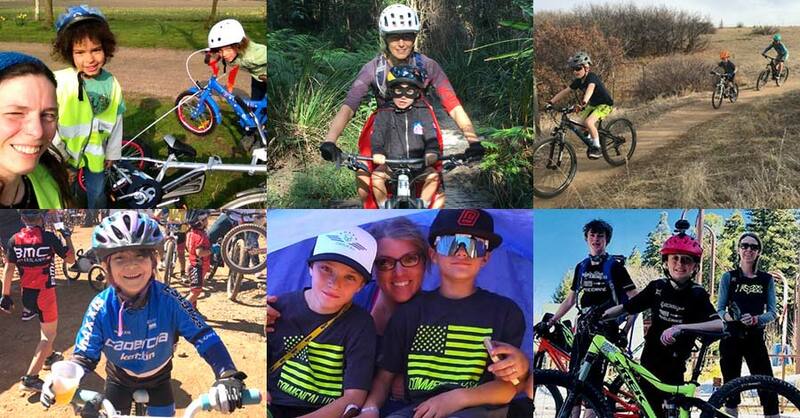 Happy Mother’s Day to all the moms who have taken the time to teach their kids how to ride bikes and enjoy the trails. 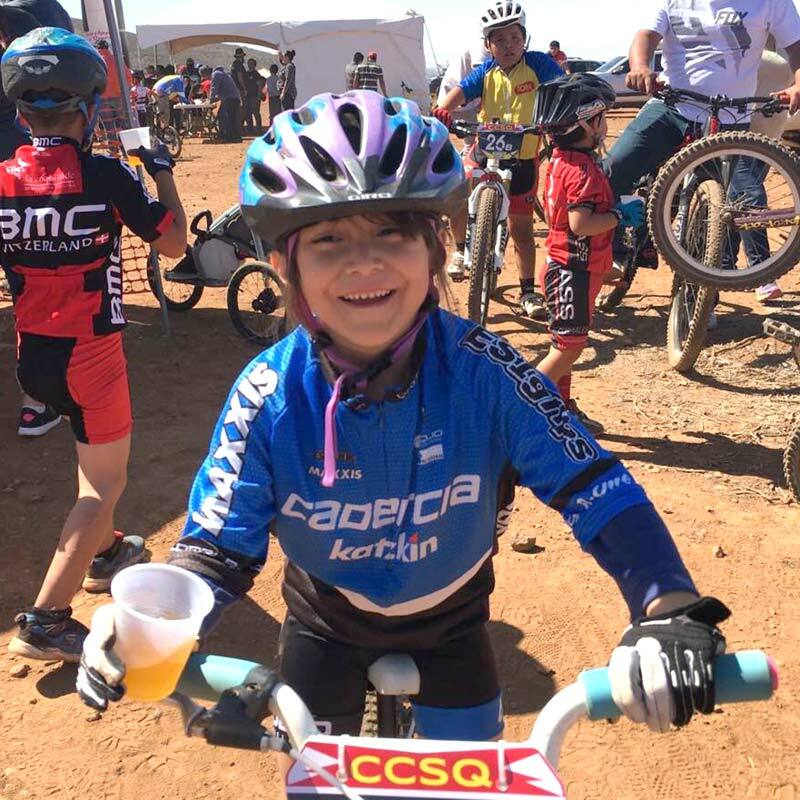 Over the last few days, we have reached out to a few moms around the world to see if they would like to share some of the reasons why they enjoy mountain biking with their little ones. Here’s what they said. 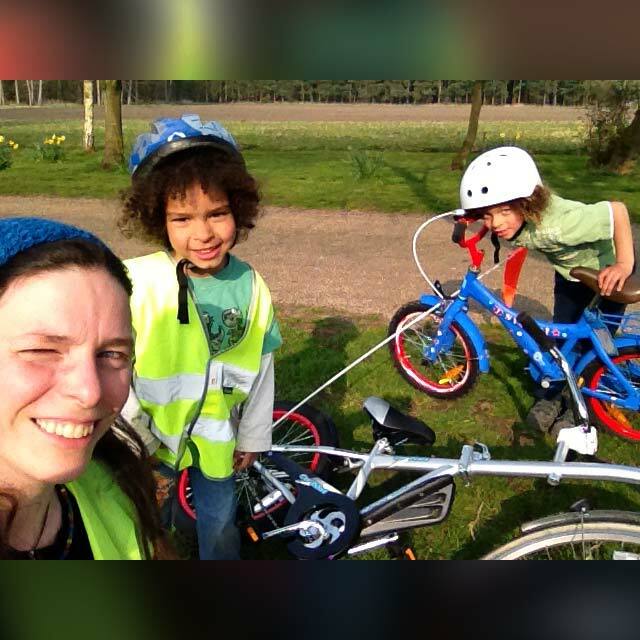 Coming from Belgium, a country where everybody cycles everywhere from a young age, I was keen for my children to learn to ride a bike too. 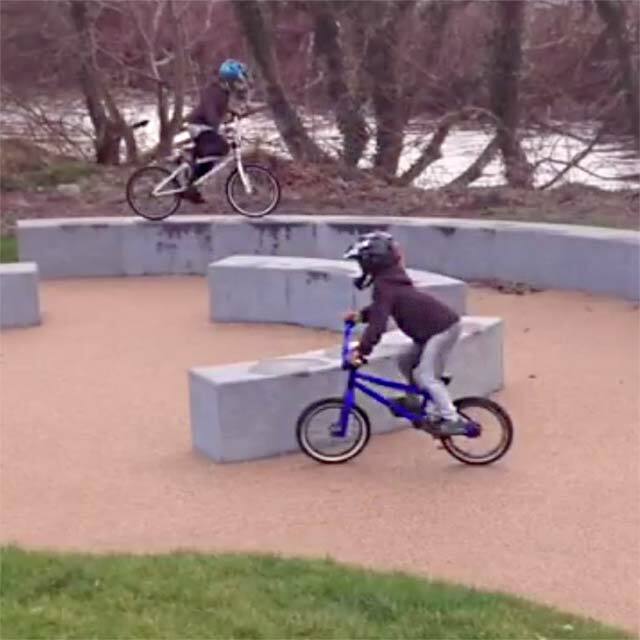 It came as no surprise that they cycled independently when they were around 4.5 years old but once they rode confidently I had a bit of a shock. Neither of my boys was interested in family rides along the country lanes where we lived in Norfolk, United Kingdom. All they wanted to do was whizz along the single track paths when we walked our dog, launch themselves down the steep banks of bomb holes in the woods and fly out of them on the other side. The local skatepark was another favourite for getting wheels off the ground. 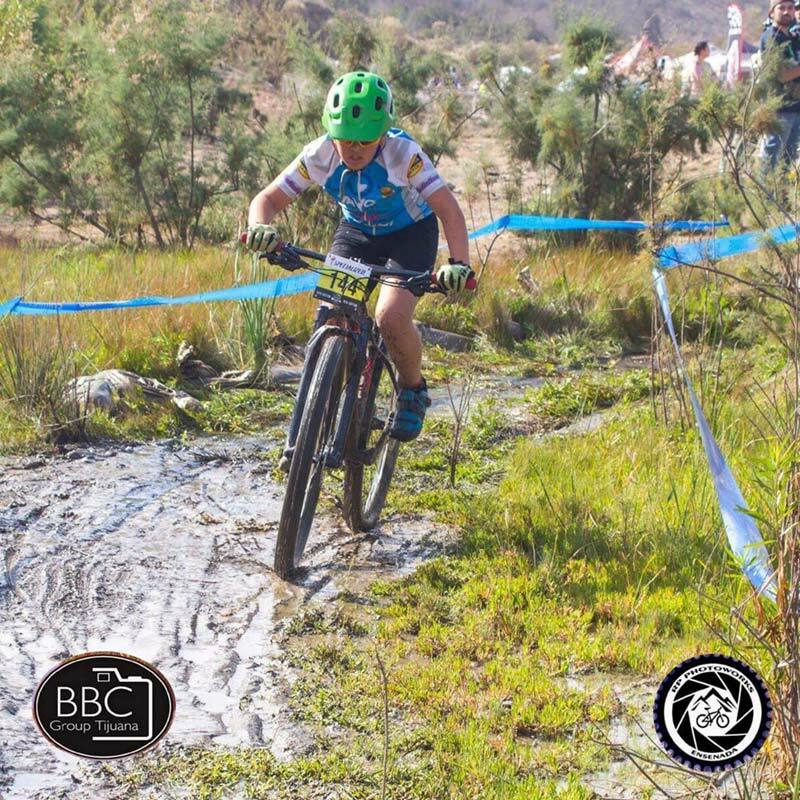 Before I knew it I was taking my boys to mountain bike coaching sessions, drove around the country to bike parks for fun sessions and races, enrolled on bike maintenance courses and learned new skills managing their social media accounts documenting their journey. 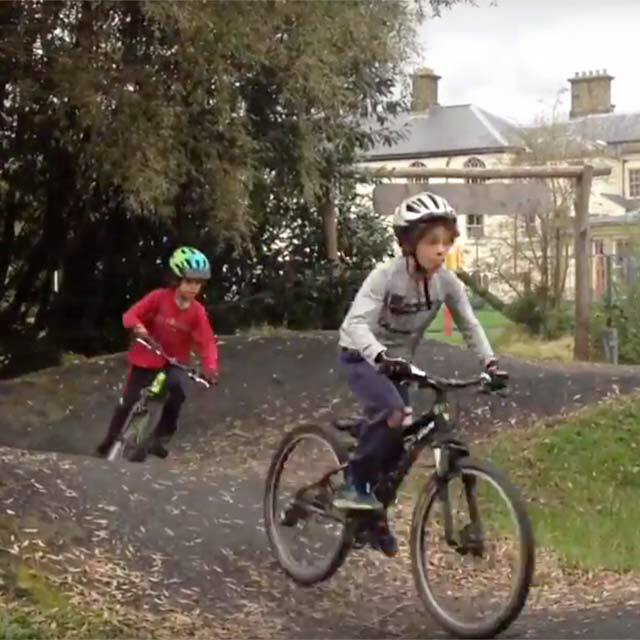 The children’s passion for mountain biking inspired our move 250 miles right across the country from relatively flat Norfolk to the hills and mountains of Wales where their skills have improved in leaps and bounds (quite literally!). 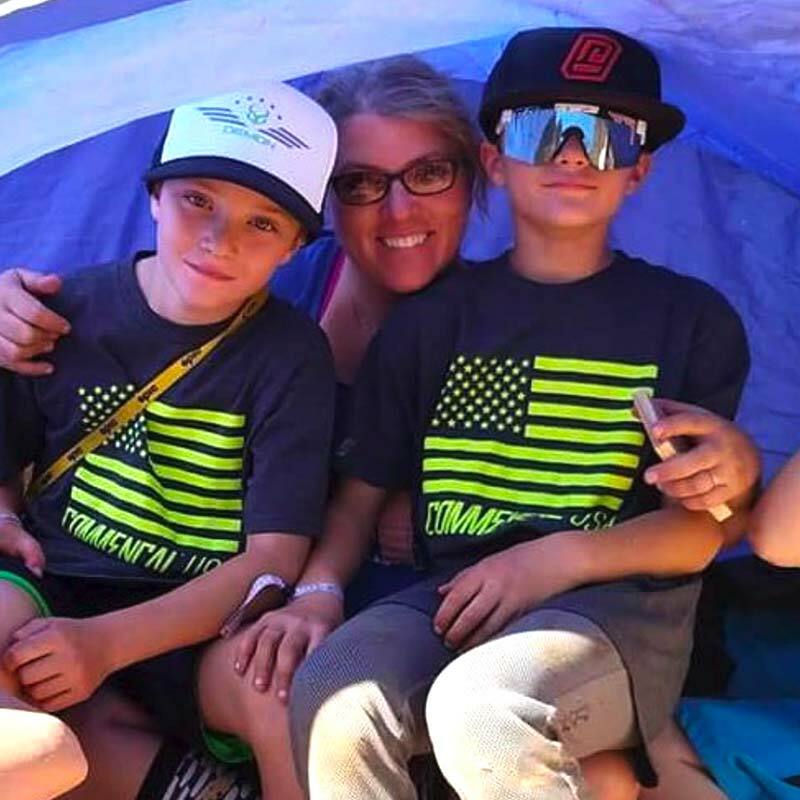 It is hard work as a single parent to provide plenty of opportunities for two mountain bike mad boys but the MTB community is full of inspiring and very supportive people. 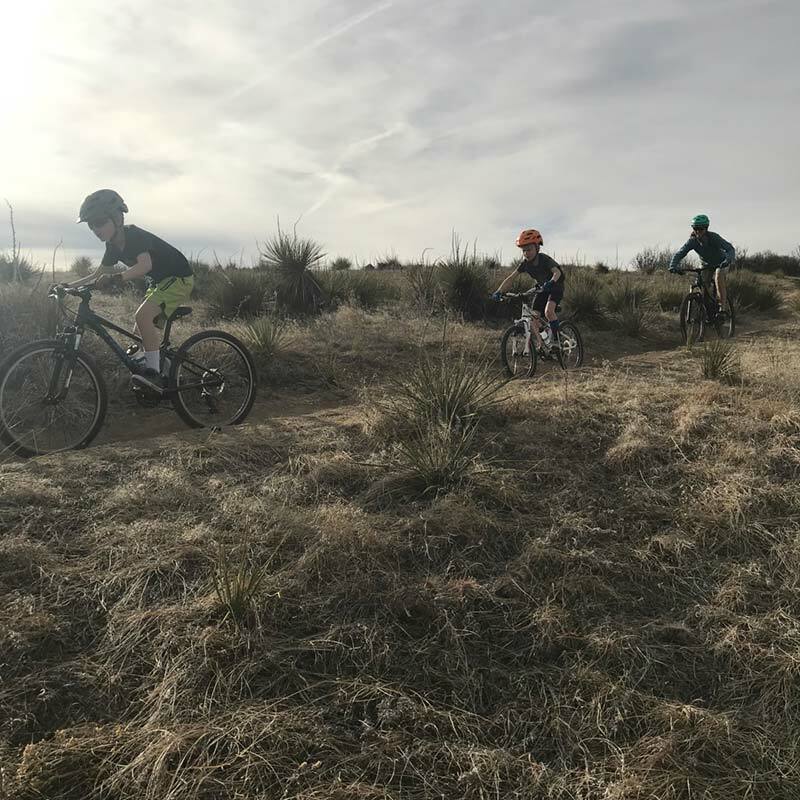 Although watching my children ride steep downhill sections at full speed makes me dread the next trip to Accident & Emergency I feel incredibly blessed to be part of their amazing journey. I love hitting the trails with my son as it provides a chance to have fun little chats about the most random things as we roll along. He is an adventurous little guy and spending time with him riding always puts smiles on our faces. 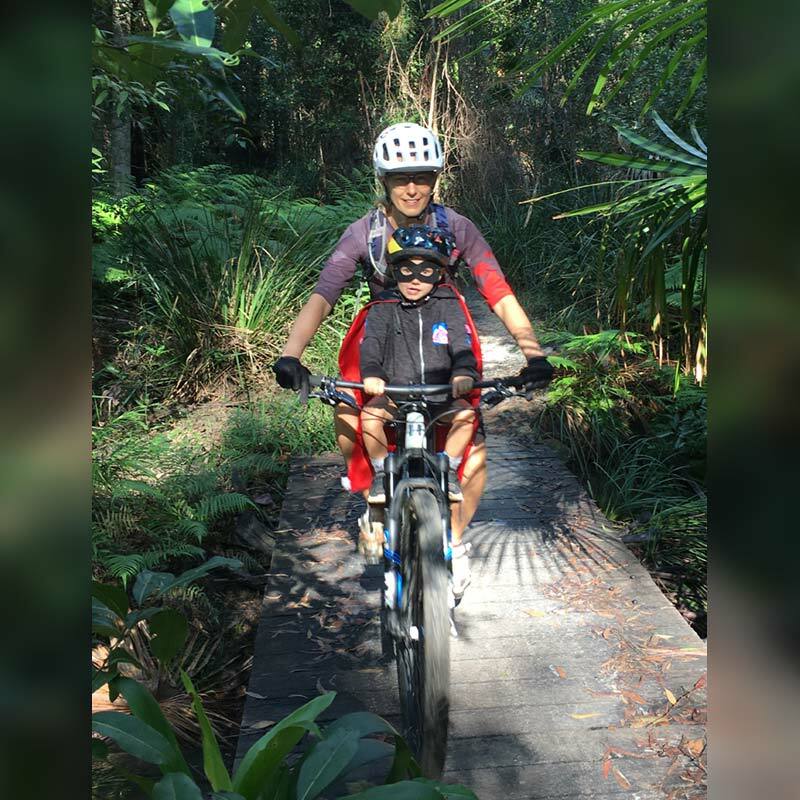 My husband and I met mountain biking so sharing this passion with our son is important to us as parents. 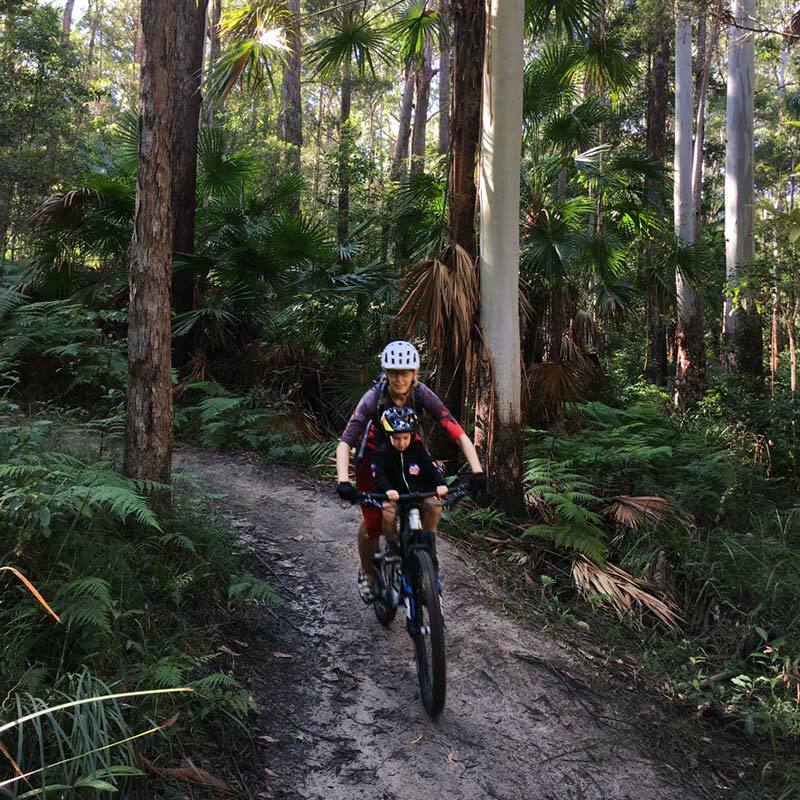 Riding as a family is wonderful and listening to our son screech with excitement while going around berms or over little jumps is just awesome. Parenting has many ups and downs but watching Zachary learn to ride a pedal bike has got to be one of the best moments I’ve ever experienced as a parent. The sense of pride I felt was enormous and unlike any emotion I’ve ever felt. 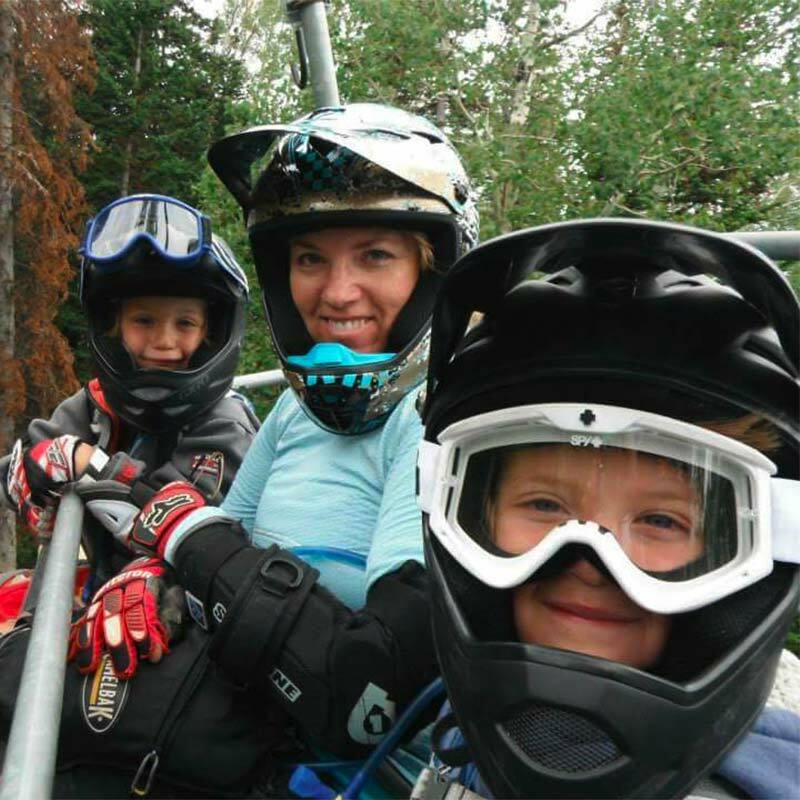 As a mom, I want to instill a sense of adventure in my boys and connect as a family outdoors. Riding bikes together brings me joy, creates community, and keeps them away from screens. Sharing the stoke with my boys means experiencing new trails and exploring all the far away places we can go on two wheels. Sometimes it’s hard, it’s a slower pace, and can take a ton of patience; but overall it’s worth it to see them push themselves. I love to see them progress season to season. My heart spins with joy when they try something new or more challenging and they rock it. 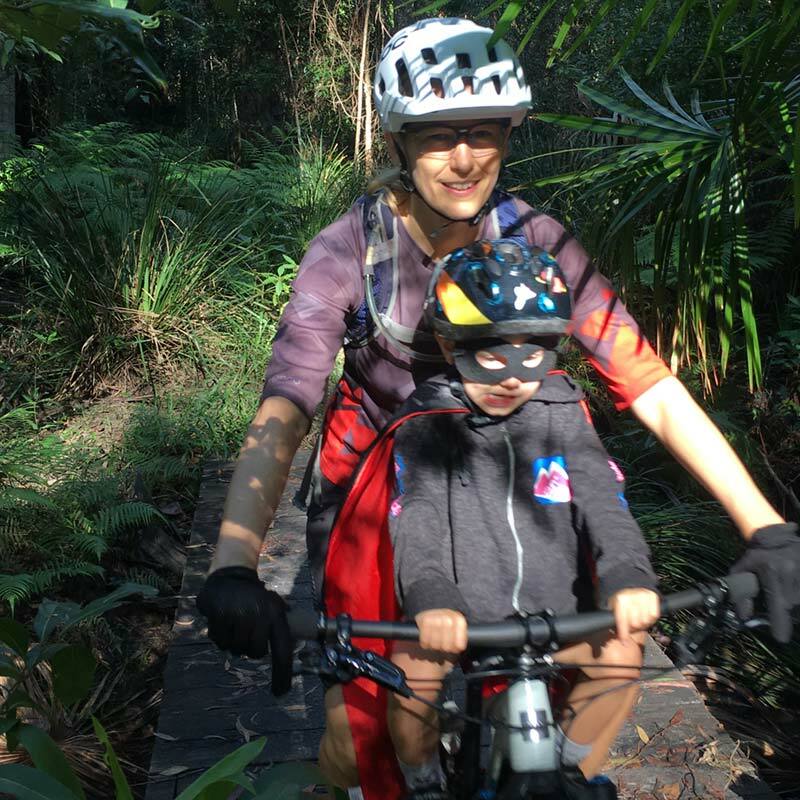 The world needs more moms and kids on bikes. 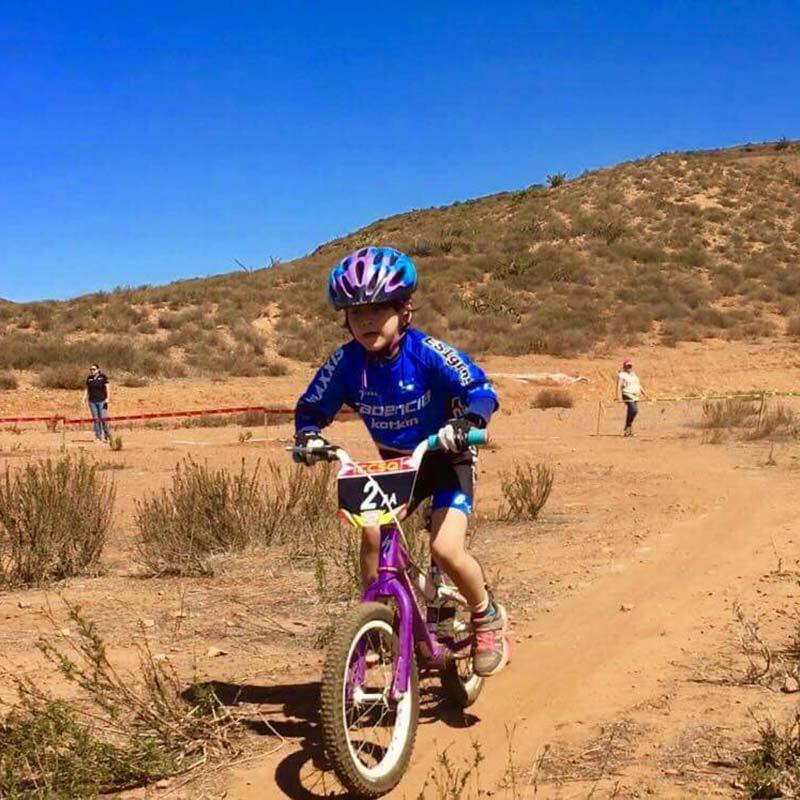 Riding bikes teaches many life skills including, self confidence, control, and perseverance. On the trail lessons that hard work pays off and it’s ok to be uncomfortable will hopefully make them more resilient and happy adults. 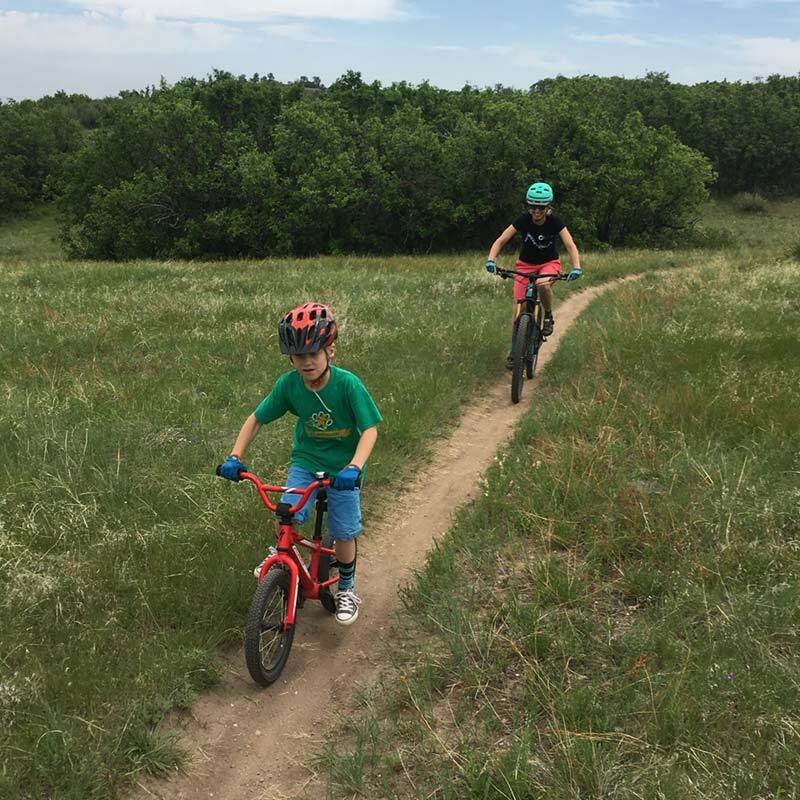 Mountain biking has taken my children to know places they had never imagined, has led them to go beyond their limits and learn to respect the Earth. 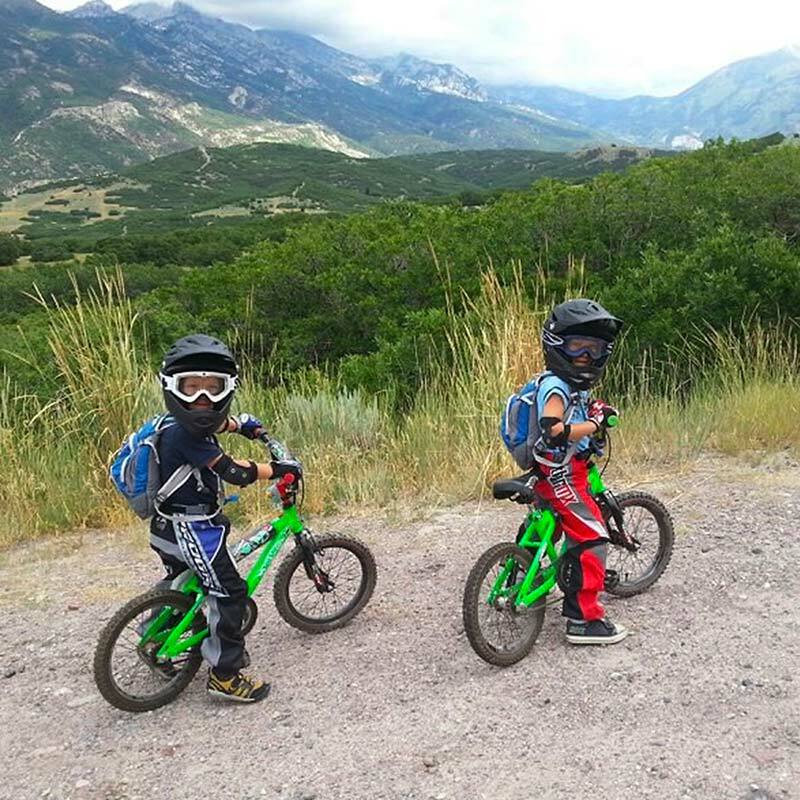 I started biking with my boys when they were two-and-a-half. We put them on little 12” bikes with training wheels and off they went – down the sidewalk with us parents awkwardly running behind them. It is the first realization of independence they have as small children – the feeling of being free and going fast! As a mother, it fills your heart with glee and at the same time you feel a little sad to let them go. So I made it a point to learn and grow with them. I wanted to see where two wheels can take us. I watched as there were successes, and failures, as well as our first broken bone. Biking with my boys is in a new phase now, it’s more like survival. They are amazingly supportive, saying things like “You got this mom!” Or, “It’s not that hard!” Really? We only have 18 summers and I want to make sure I’m along for this crazy ride during all of them. 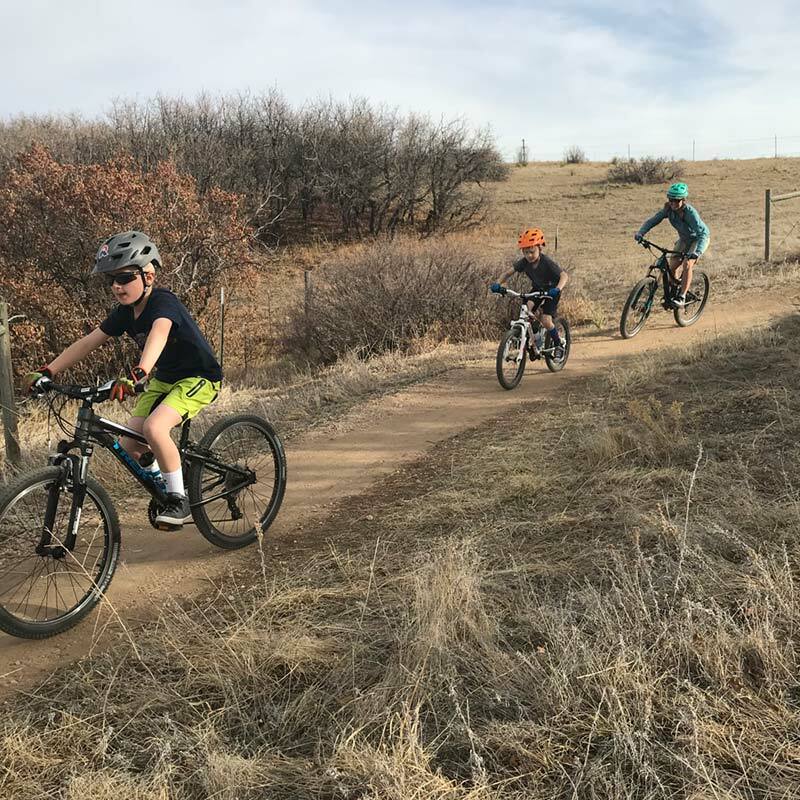 Biking has brought me closer to my kids. The time we spend analyzing trails, and looking at what may – or may not be a good idea, and just feeling happy. Having my sons be my biggest cheerleaders. I love this sport and what it has offered me in new friendships, camaraderie, and most of all, I love being able to (sort of) ride with my boys.